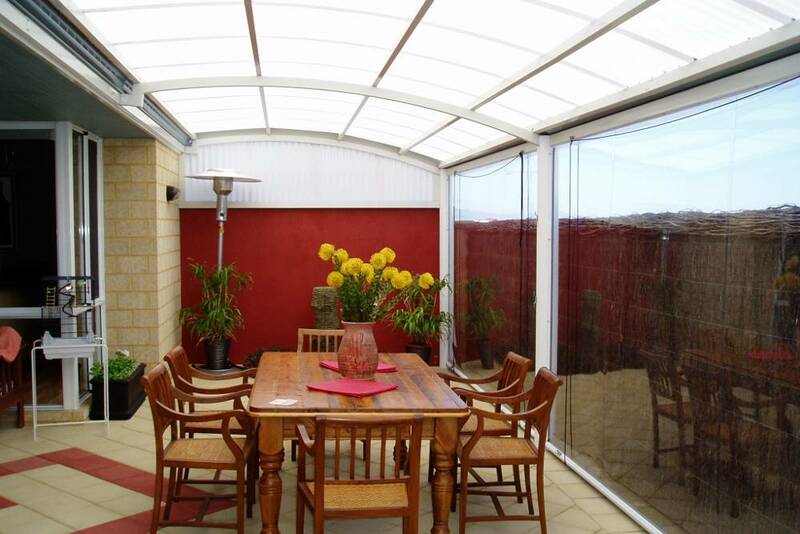 Add a new dimension to your home with a curved (dome) patio by Perth Better Homes. If you’re after a stylish and sophisticated space to enjoy the outdoors, then we can show you how this can be achieved with your very own custom design. We’ll incorporate what’s unique about your home to create a place where you can relax, escape or entertain anytime of the year. Why our customers like curved patios. Smooth design that adds character to your outdoor living area. Creates a large open space to entertain. Discover what outdoor comfort really feels like with a curved patio designed and installed by Perth Better Homes. Contact usfor a free consultation or call 1300 764 155. What makes a curved patio so aesthetically pleasing is a flawless ceiling-like appearance that adds a whole lot of appeal to your outdoor entertaining area. 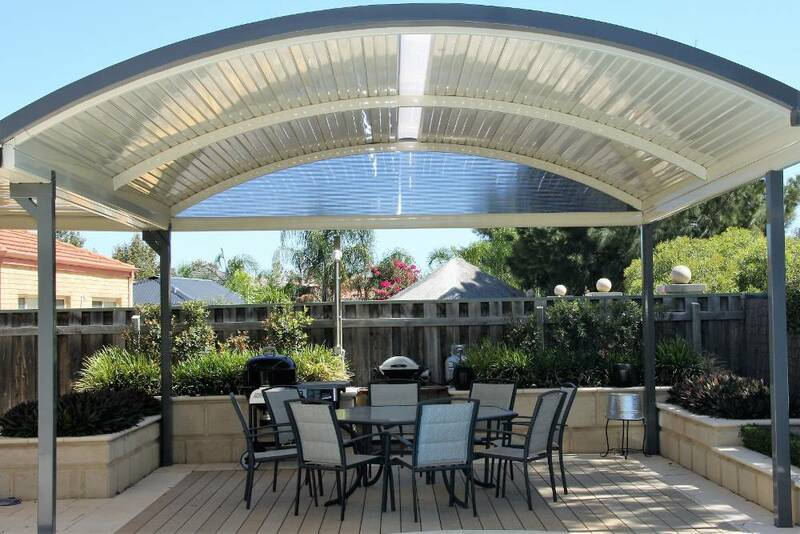 A curved patio is designed with the intent to be attached to the house, but the wow factor is combining your design with a flat roof or pergola sections to create a luxurious central feature at the curved roof. 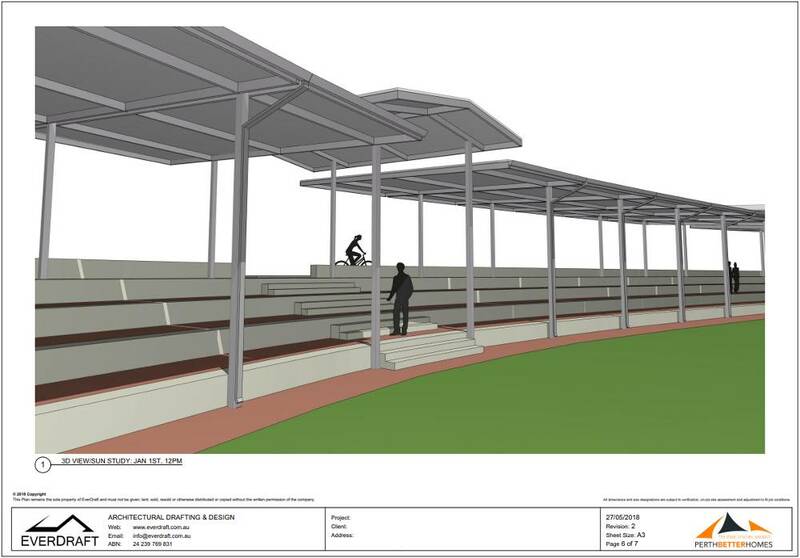 The roof can span up to 6.6 metres wide. 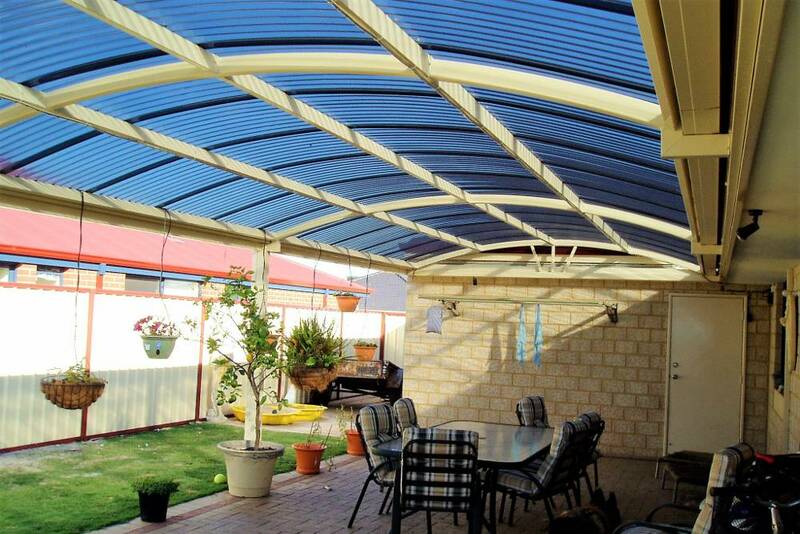 This option uses a very durable roofing material – the Perth Patio Company Outback Deck. It doesn’t require any other kind of structural support, resulting in clean lines and an uncluttered, smooth ceiling-like finish, which creates an immediate visual impact for your outdoor living area. 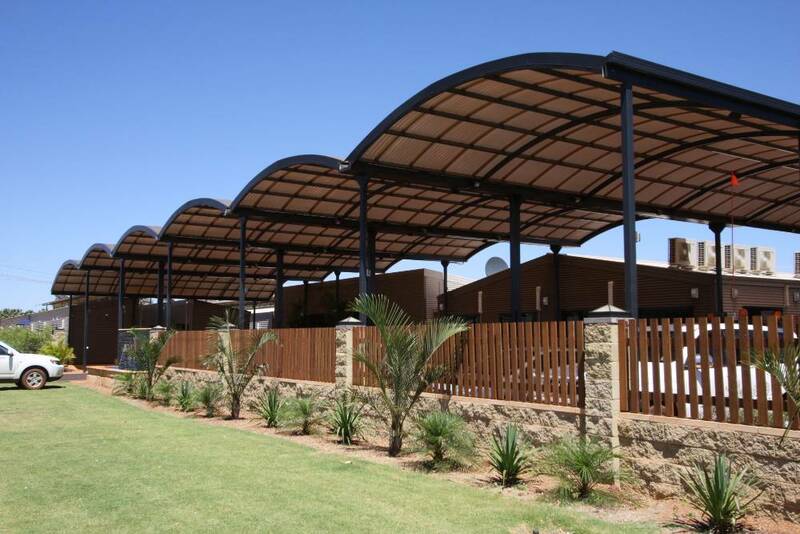 The Multispan curved roof utilises purlins that are placed over the rafters in the roof, which is designed to support the cladding. 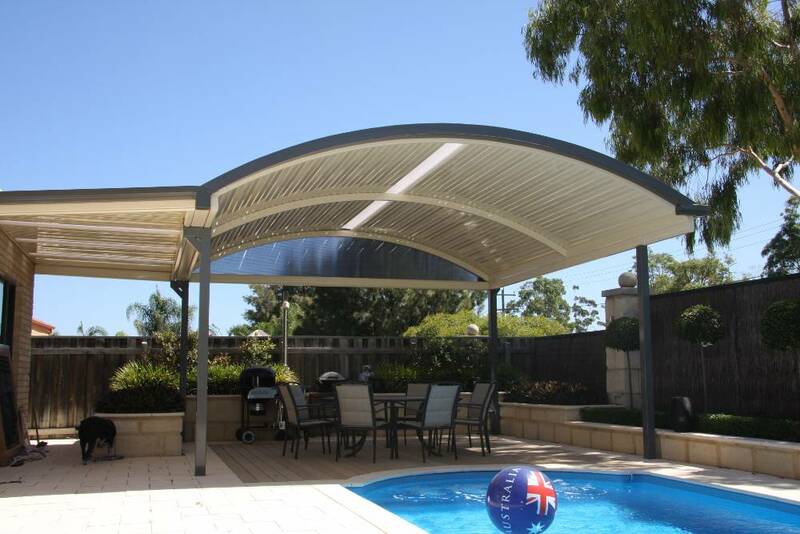 Your cladding options include the Perth Patio Company Outback Deck for a smooth finish, light polycarbonate or the classic corrugated steel. This is a great option if you want to create a particular ambience or colour scheme. When it comes to designing the perfect patio, we never take shortcuts. 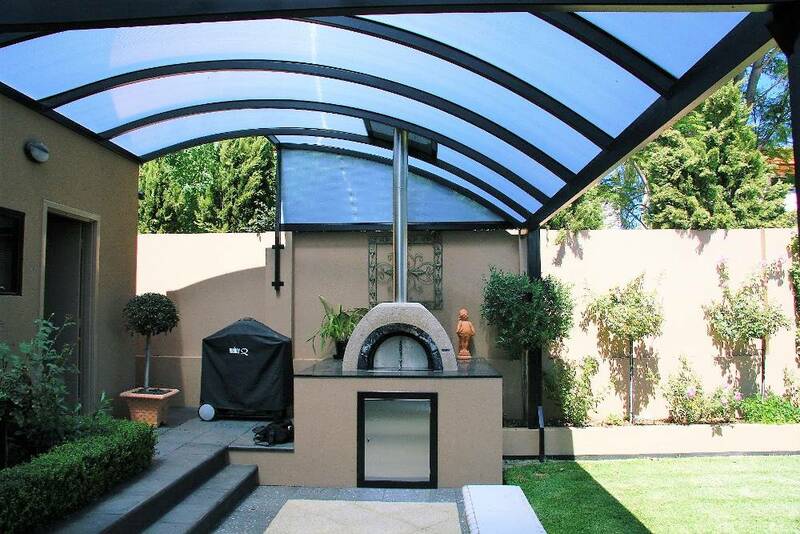 Our extensive industry experience means you’ll receive expert advice and the highest quality workmanship to create the ultimate outdoor lifestyle at home. We’ll manage your entire project from start to finish so you don’t have to worry about a thing. 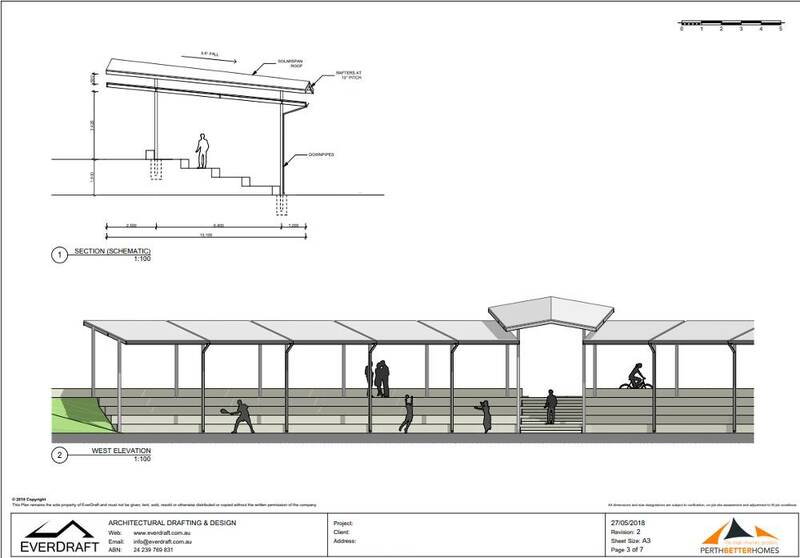 From your initial consultation, to design and approval, followed by build and installation – we’ve got it all covered. Absolutely fantastic. From calling for original quote to the final installation it was less than a week and the results transformed the area.